Welcome to Paradise Resort, in Placencia, Belize. Paradise Resort, formerly known as Paradise Vacation Hotel, has 12 air conditioned rooms with cable TV and private baths with hot and cold running water. 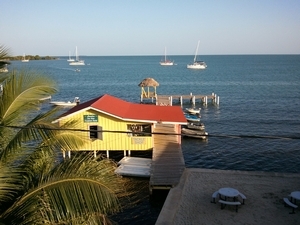 We are located on the water at the southern end of the Placencia peninsula, or Placencia Harbor. We are in the village so are within walking distance of almost everything. 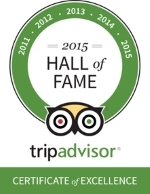 We strive to provide a clean, safe comfortable and affordable place from which to enjoy Belize. 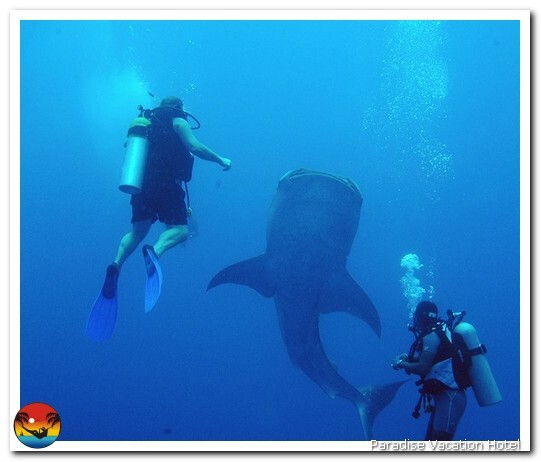 We can arrange any water adventures such as snorkel, dive, and fishing trips as well as dive instruction. If you visit us during Whale Shark season, do not miss the chance to see the majestic Whale Sharks! We can also arrange great land and river tours such as the Monkey River tour, Cockscomb Wildlife Sanctuary and the Maya Ruins. Departure for tours will either be from our convenient dock or close by parking lot. 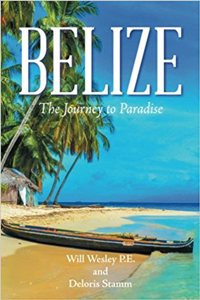 For more information, you can look here under our tours tab or contact us at: info@belize123.com. You can relax on our deck over the water. 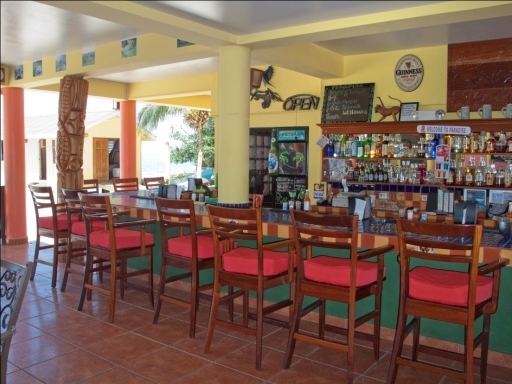 You can enjoy fantastic views of Placencia Harbour from our waterfront rooms or waterfront restaurant and bar. There are breathtaking sunrises and sunsets to be viewed. The rooftop deck with a hot tub offers the best of views from the ocean to the mountains. The gazebo at the end of our dock offers the ideal place to relax before catching your tour, diving trip or fishing trip. You can kayak in the calm Placencia Lagoon where you are bound to see gentle manatees. Video: Click play to see some pictures of fish caught. We offer a selection of 9 Standard Rooms, 2 Ocean View Rooms and an Ocean View Suite with a separate bedroom with a living room kitchen area. We have an open air Seaside Restaurant and Bar Pictured here and we have just added an over the water Bar and Grill for your convenience. This is the place that makes your vacation an adventure. It won't take you long to discover why we are so specially unique. What more could you ask for? The open air Restaurant and Bar area of the hotel can be seen here to the right.